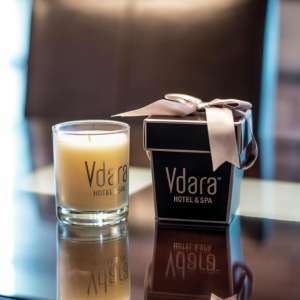 The Concierge at Vdara is dedicated to making your experience extraordinary with an exclusive and unsurpassed level of customized service and personalized attention. 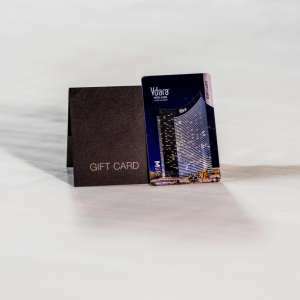 Our Concierge staff can assist with anything from show and restaurant reservations to travel arrangements, sightseeing or placing you first in line for any other entertainment options that Las Vegas has to offer. Two standing bouquets of balloons are arranged on each side of the bed. Each bouquet has one Mylar balloon and five Latex balloons. Scattered rose petal design is arranged on the bed. Includes personalized card, setup and delivery. Upgrade to a medium box of rose petals for an additional $10. Also includes 20% off Couples Treatments at ESPA at Vdara. Two standing bouquets of balloons are arranged on each side of the bed. Each bouquet has one Mylar balloon and five Latex balloons. Teddy Bear is on the bed awaiting guest arrival. Includes personalized card, setup and delivery. Vdara Teddy bear subject to change based on availability. Also includes 20% off Couples Treatments at ESPA at Vdara. 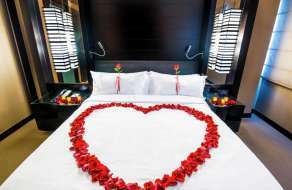 Heart-shaped rose petal design is arranged on the bed. Includes personalized card, setup and delivery. Upgrade to a medium box of rose petals for an additional $10. Also includes 20% off Couples Treatments at ESPA at Vdara. Scattered rose petals, heart-shaped rose petals and trail of rose petals-to-bed designs available. Includes personalized card, setup and delivery. 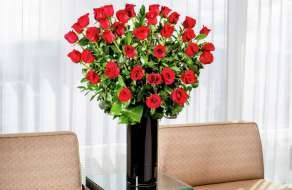 Add a dozen roses to your selected arrangement for $75. Also includes 20% off Couples Treatments at ESPA at Vdara. Heart-shaped rose petal design on the bed. Teddy bear awaiting guest arrival on bed. Includes personalized card, set-up and delivery. Upgrade to a large box of rose petals for an additional $25. Also includes 20% off Couples Treatments at ESPA at Vdara. Scattered rose petals, heart-shaped rose petals and trail of rose petals-to-bed designs available. Includes personalized card, setup and delivery. Add a dozen roses to your selected arrangement for $75. Also includes 20% off Couples Treatments at ESPA at Vdara. ANY OF THE ITEMS BELOW MAY BE ADDED TO ANY PACKAGE. The classic composition of our premium, long-stemmed roses is a perfect choice for any occasion. Add a medium box of rose petals to accompany your selected arrangement for $45. Infuse your atmosphere with an exotic, eye-catching design from the tropics. Add an ESPA Bath Oil Collection to accompany your selected arrangement for $52. Look no further for a stylish surprise with our expertly arranged seasonal flowers. Add six battery operated candles to accompany your selected arrangement for $45. The simplicity of Tulips and Calla Lilies impart a sense of sweetness and spring. Add three tiered battery operated candles on a silver tray to accompany your selected arrangement for $90. 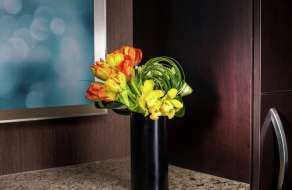 Embrace Vdara’s modern influence with a contemporary, elegant display of floral. 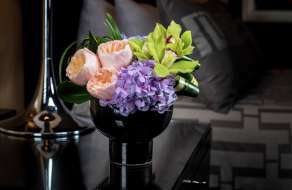 Add a Vdara Teddy Bear to accompany your selected arrangement for $15. 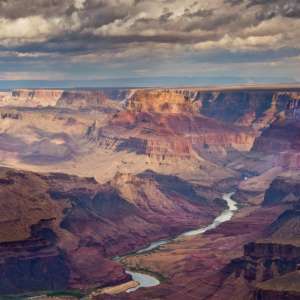 Prices are exclusive of Nevada State Sales Tax. 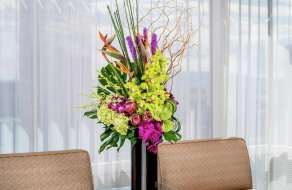 If you have any other arrangement in mind, please do not hesitate to contact us at 866.391.7111. 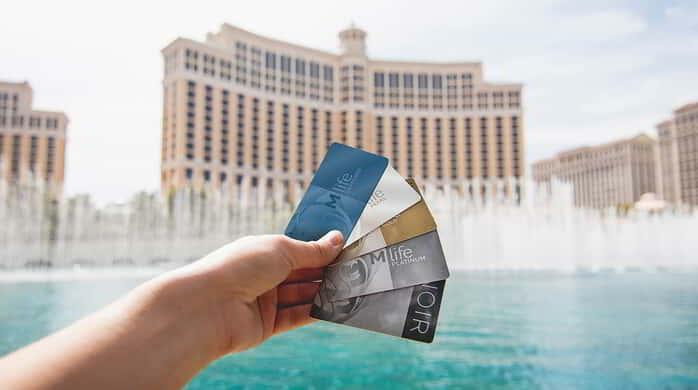 Embark on a journey around Las Vegas with one of our preferred operators. Enjoy a round of golf at one of Las Vegas' many golf courses.